We invite all teenagers of Powell River who want to learn to play tennis fast with a great coach to register for our new Junior Novice program. Click here to register for the programs! Our programs accommodates youth of all levels and abilities. Students will develop quickly the fundamentals needed to serve, rally, and play at the net. The aim is to provide students a fun and low-key environment to learn to play the sport of a lifetime. Students will develop the fundamentals needed to rally cooperatively with a partner, including serving and volley skills as well. The aim is to provide students with sound basic skills so they can play on their own and prepare for the next level. This program includes 7 weekly sessions priced at $106/term. This program started as Brooks Tennis Club preparation camp for a school tournament but has since switched to twice-a-week and inexpensive $5 drop-in for those teenagers who want to improve their tennis skills in a bigger group. 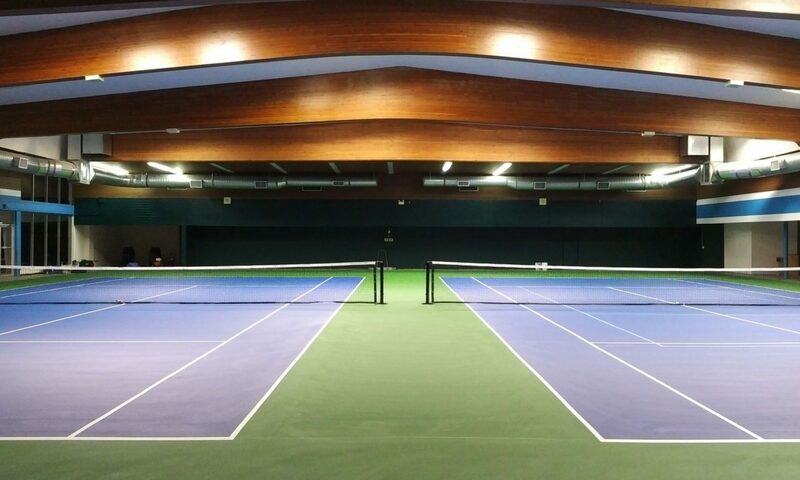 Two courts, two coaches, loaner racquets, indoors. Register online or pay at the door.